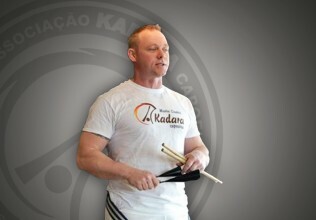 Hello and welcome to Kadara Capoeira Canada. 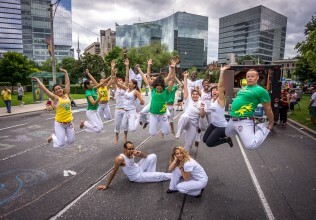 We are a Capoeira school based in Toronto’s east end in Scarborough. 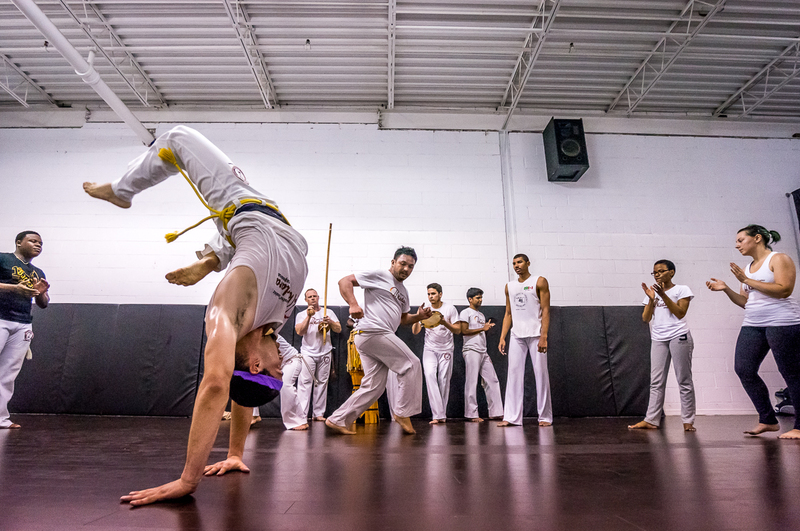 We hold regular Capoeira classes in Toronto throughout the week for all levels. 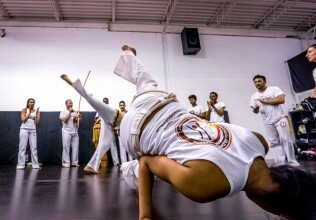 All are welcome to join our Capoeira classes in a fun, safe and challenging environment. 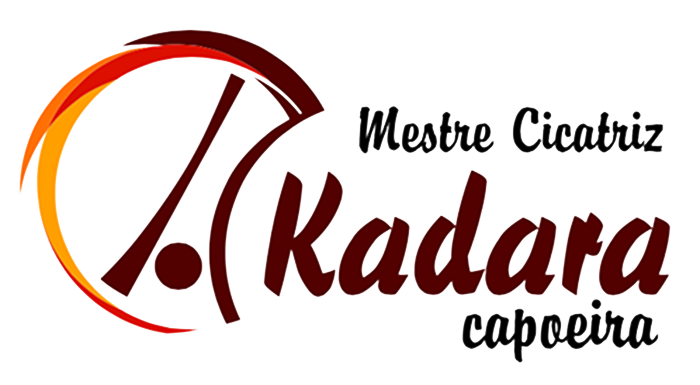 Kadara Capoeira Canada is the North American branch of Associação Kadara Capoeira, an International Capoeira school founded by Mestre Cicatriz with schools in Australia, Brazil, Canada, Indonesia, and the Philippines. 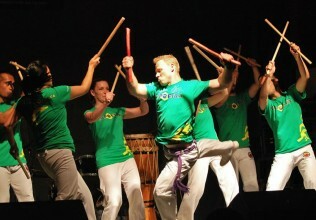 Capoeira utilizes kicks and cartwheels, high flying tricks and fluid floor movements. 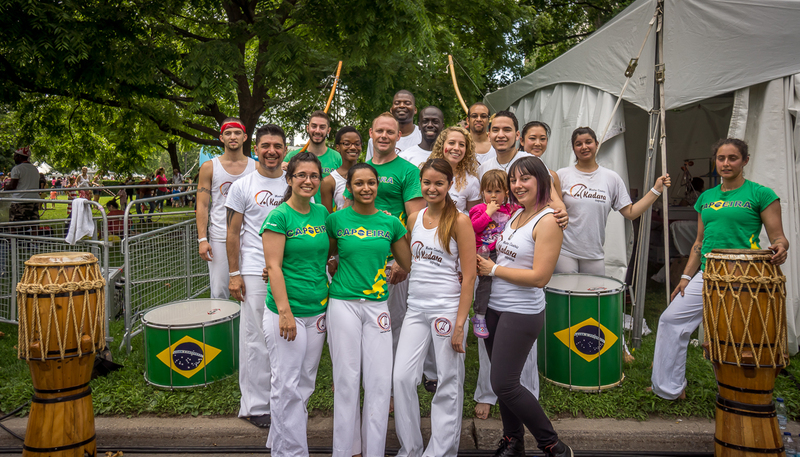 Capoeira is an Afro-Brazilian art form which combines fight, dance, rhythm, movement and culture into a kind of game. 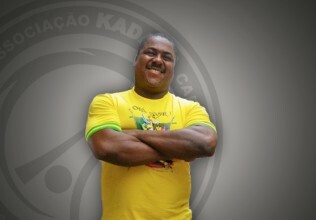 It is a dialogue between players – a conversation through movement to percussive Afro-Brazilian music. 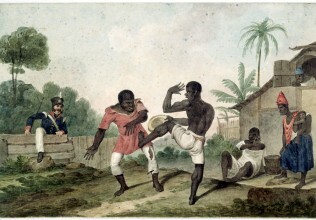 Many historians believe that African slaves in Brazil used Capoeira’s dance-like appearance as a way to hide their training of combat and self-defence. But that’s just the start of the story. 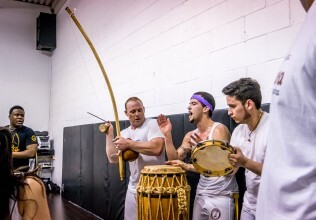 To really understand Capoeira, you need to experience it for yourself. 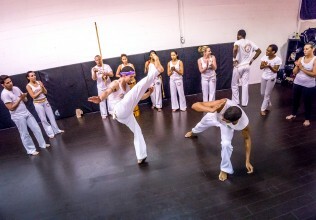 It is a dynamic martial art and expression of culture that will challenge your body to move in new ways. 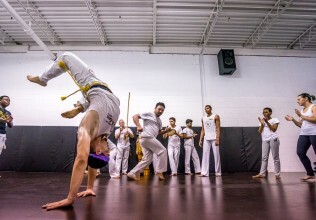 In a Capoeira class you will improve your strength, coordination, stamina and flexibility, while having so much fun, you won’t realize you are working out.